Narrator: "Politicians oftentimes say one thing and do another." 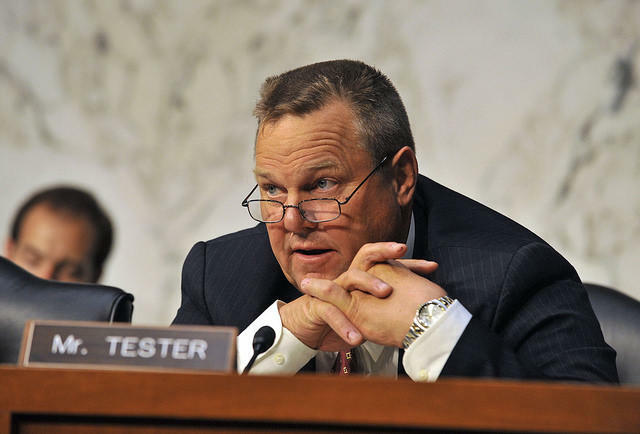 Jon Tester: "I won't sell Montana down the road like cutting deals with K-Street lobbyists. They need the greatest representation not encumbered by high-dollared lobbyists." SM: This sounds, Chuck, like a protester ad but the ad visually outlines how Tester broke these pledges, including pointing out the hundreds of thousands of dollars he's taken from lobbyists. Chuck Johnson: That's right, Sally, and the AP fact-checked it and found that, yes, the Republican group got it right, that Tester did in fact raise more money from lobbyists at the time. This is interesting for a couple of reasons, one of which is the same Jon Tester, when he first got elected to the Senate in 2006 by defeating Conrad Burns, really made hay over Burns' ties to lobbyists and all the money Burns got from lobbyists. And the second is it just doesn't look very good for a senator or representative to get a ton of lobbyist money. I mean, they all do it but it's still pretty odious, I think. SM: Well, as you say, they all do it. But the argument they make is the same, "I don't want to but I have to to win." CJ: Yeah, they do, and it's true. They've got to raise millions of dollars — a senator does — to get reelected. But it strikes me as a little hypocritical on Tester's part since he made such an issue of that very issue when he defeated Conrad Burns 12 years ago. Narrator: "Jon Tester has two faces. In Montana he says he supports gun rights. But in Washington D.C. his votes tell a different story. In all three votes on Supreme Court justices, Tester sided with Chuck Schumer and the anti-gun, liberal left against your right to self defense. 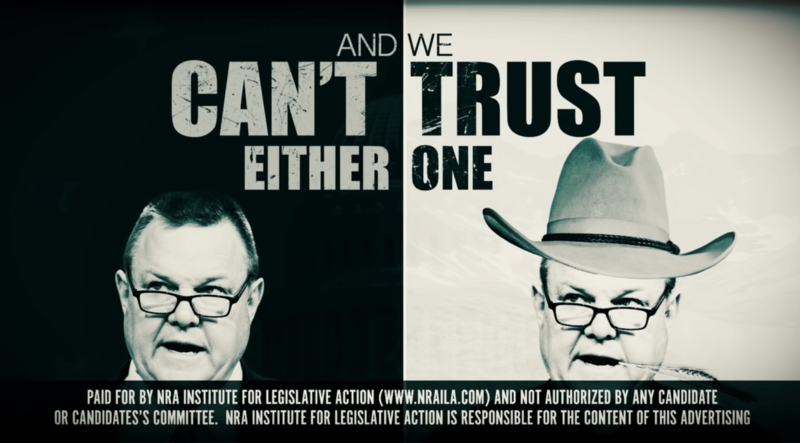 What Jon Tester says in Montana isn't what he does in Washington D.C. Jon Tester has two faces and we can't trust either one. NRA Institute for Legislative Action is responsible for the content of this advertising." SM: And the question, Chuck, is whether the NRA and Rosendale basically colluded, which would violate campaign finance law. CJ: That's right Sally. Recently, The Daily Beast reported that they had an anonymous source give them a recording in which Rosendale says he expects the NRA to come in and it sort of sounds like it might be coordinated because then last week the NRA announced it was going to spend six figures on ads against Tester and for Rosendale. SM: Rob, this is something that's fairly common but still, it stinks right? Rob Saldin: Right. I mean my sense is if you want to get super legalistic about it, what we have here probably gives Rosendale some wiggle room. But the most plausible interpretation, based on the recording, is that there were conversations that took place and that strongly suggests coordination, and you can't do that. To me, it's a great example of the way in which the current campaign finance system is, in a very fundamental way, just plainly unrealistic. You know, one of the key features of the current system is that there's supposed to be this clear separation between campaigns and outside groups. And the Supreme Court has said that outside groups are protected by free speech. So, unlike candidates, they can spend as much money as they want to get their message out. But to maintain this important distinction between campaigns and everyone else, the rule is that campaigns and outside groups can't coordinate. So they aren't supposed to strategize together and say, 'Well okay, we'll run this ad at this time and then you can follow up with this other ad,' because if they did that, the logic goes, the efforts of the outside groups would then be indistinguishable from and effectively a wing of the campaign. Well, making that kind of a distinction sounds sensible perhaps in the abstract, but the difficulty is that in practice these stark lines of separation just seem ridiculous because so many of these people, they know each other, they run in the same circles. Are we really supposed to believe that stuff like this just never gets discussed, right? And that's kind of the way the system is set up right now. SM: And that's what voters think. No one believes that they haven't really coordinated these campaigns. I don't think, right? SM: And that they all do it. RS: ... and that they all do it and it would be kind of silly if they didn't. Tester: "I'm Jon Tester and I approve this message." Matt Rosendale: "I'm a rancher." "Many of you know me as a rancher." Narrator: "Except Matt Rosendale's not. No brand. No record of cattle sales of any kind. And after he was caught, Rosendale quietly scrubbed 'rancher' from his campaign website. "That's right. All hat, no cows. The only thing he understands about farms is how to turn them into real estate developments." "Rosendale shtick may work back in Maryland. But Montana will never fall for Matt Rosendale's load of bull." SM: This ad, Chuck, ends with a mooing cow and it's not the first time a cow has been featured in a Montana political campaign. SM: Right, it's the authenticity issue. 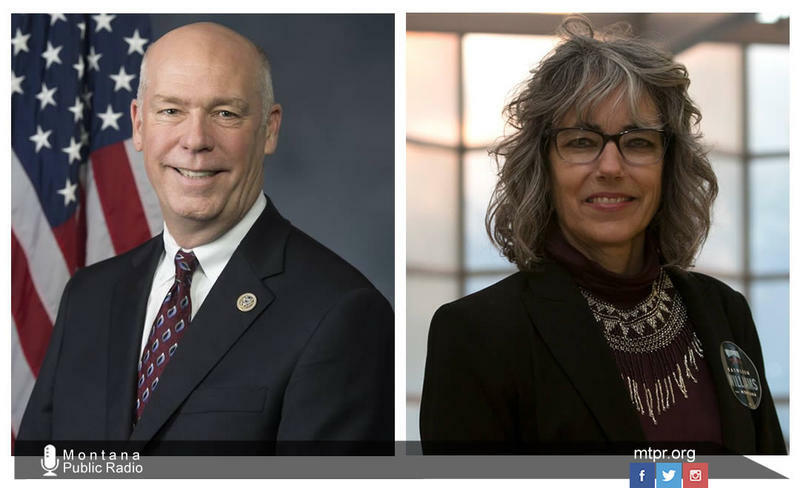 SM: Rob, in the House race, economics and jobs are being featured and here's a new ad from Greg Gianforte. Narrator: "President Trump and Greg Gianforte cut our taxes, and now America's economy is booming and the middle class tax cut is making all the difference. Greg Gianforte is a business guy who fights hard for working families. Greg Gianforte is on Montana's side." SM: And this ad, Rob, features a hunky looking builder and emphasizes Gianforte's pro-business experience and policies and that's an effective ad for him, I think. RS: It's a real good message for Gianforte, and in a normal election cycle this is the kind of thing we'd expect to see Republicans, in a very disciplined way, hammering on relentlessly because it's true; the economy is roaring. Now, we should probably say that economists will tell you that we tend to give presidents way too much credit when the economy is good, and way too much blame when it's bad. And that's not because policy decisions don't affect the economy but because the effects are more evident in the long term rather than short term. But in any event, a boatload of political science research clearly suggests that the state of the economy is one of the very best predictors of election outcomes. And right now the economy is great. And regardless of how much credit the president and his party should get for that, the fact of the matter is that presidents presiding over a strong economy traditionally get a boost, and that should be at the center of the Republican campaign effort this year. And that's what this Gianforte ad is trying to call attention to. It seems to me the only problem is that the never-ending clown show that is the Trump administration is constantly distracting attention away from this message that's teed up perfectly for Republicans. So, as much as Republican candidates like Gianforte are doing everything they can to try to link themselves to Trump, the constant chaos surrounding the president also has a real way of undermining their effort to call attention to the economy and the tax cuts, deregulation, reshaping of the federal judiciary, all the things that you'd think Republicans would be running on this cycle. "You know, this mono-statement of Trump voters - I don't think it's that simple in Montana. I think Montana has people who do their research and they evaluate the political landscape. 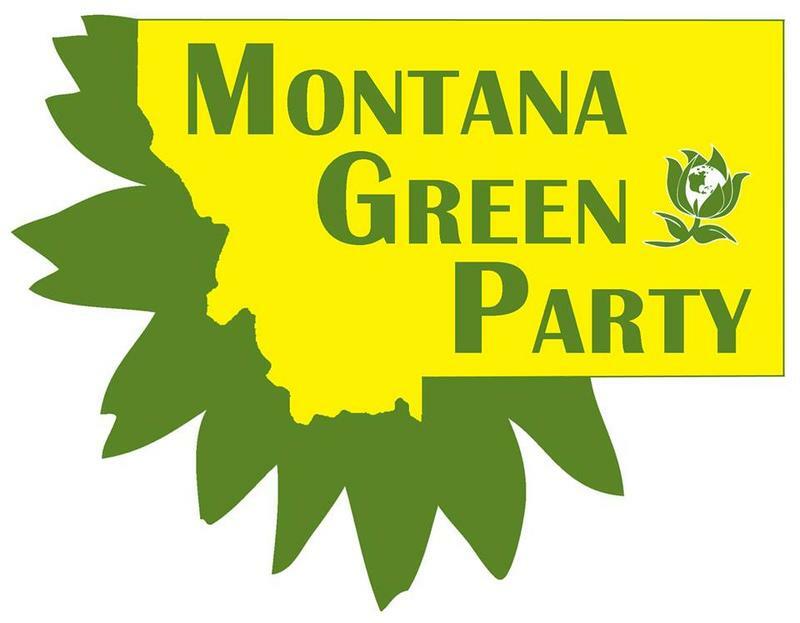 Montanans think carefully about these issues and they know that it's important to have a diversity of representation." SM: Is she being more hopeful than realistic, Rob? RS: Well, Williams has to hope. That's right because Trump carried Montana by 20 points. But there clearly is some reason for thinking that she is right because on that same day that Trump trounced Clinton, Williams's current opponent, Greg Gianforte, also lost his run for governor to Steve Bullock by four points. So it's certainly true that, as recently as two years ago, a lot of Montanans did in fact split their ticket. And I think that she's also basically right that if this is going to work out for her it will be because she comes across as an authentic and independent voice for Montana. That's really the path that is available for Democrats to win in Montana. Republicans, by contrast, have a little bit more flexibility. There are different paths to victory for Republicans, but for Montanans that's it. She really should, I think, have some space and freedom to do just that. The liberal Democratic base, I think, is locked in. They're engaged. They will turn out and support her. So she does have some flexibility to go after those independent voters, including those who went for Trump in 2016. And we've seen her do that in a variety of ways, or at least attempt to do it. And perhaps most clearly, I think, was her saying that if she wins she won't support Nancy Pelosi for Speaker of the House. Brewer 1: "Running a brewery can be really hard work." Brewer 2: "Sometimes the rules out of Washington are so dumb you want to scream." Brewer 1: "A bureaucrat in the FDA interfered with brewers like us giving our spent grain to local ranchers to feed their livestock. We called on Tester and he let them have. The rule went away so we could get back to business." Brewer 2: "We support Senator Tester because he supports us." Tester: "I'm Jon Tester and I approve this message, and I've been known to approve a Montana beer or two, too. SM: The last scene in this ad, Chuck, is Tester in his farm coat getting ready to chug a brew. And this ad is cute, I think. It appeals to all the beer drinkers in the state. There are a lot of them. And it also I think captures the Republican push for less regulation of small business. CJ: That's right, Sally. It works on both of those fronts. And here you've got Jon Tester fighting Washington bureaucrats on behalf of Montana breweries. It's a good message for Tester, and funny at the end when he sits down and says he likes a beer or two from Montana breweries. I think it works in a lot of ways. SM: Well Rob, later this month and in October all of these candidates will be debating each other and there will be a couple of polls released. And those events should clarify who's up and who's down. RS: Yeah, you'd think so. One thing I'll be looking for in those polls that we have is, obviously, how they show Montana voters reacting to the candidates and who people are planning to vote for. But also I'll be looking for how Montanans view Trump. Right now, just in the last week or so, we have seen a little dip in Trump's national numbers and it's unclear whether that's going to endure or just be a temporary blip. But that does seem to be a notable thing because one of the things about Trump's approval ratings over time is that they've remained very steady. And so, in Montana I'll be interested to see how Montanans are reacting to him. Obviously, if Trump does suffer a downturn in his opinion polls that can't but help Democrats. And if he pops back up as he sometimes has, you know, it will drop down a few points and then pop right back up. You know that would be really reassuring to Republican candidates. SM: And Chuck, in the debates I'll be interested to see how much Trump comes up in those. CJ: That's right. I'm sure Democratic candidates will try to tie the Republicans to Trump but maybe not. Maybe they'll just want to run on their own issues so it'll be real interesting to see. SM: We'll be following all of that. 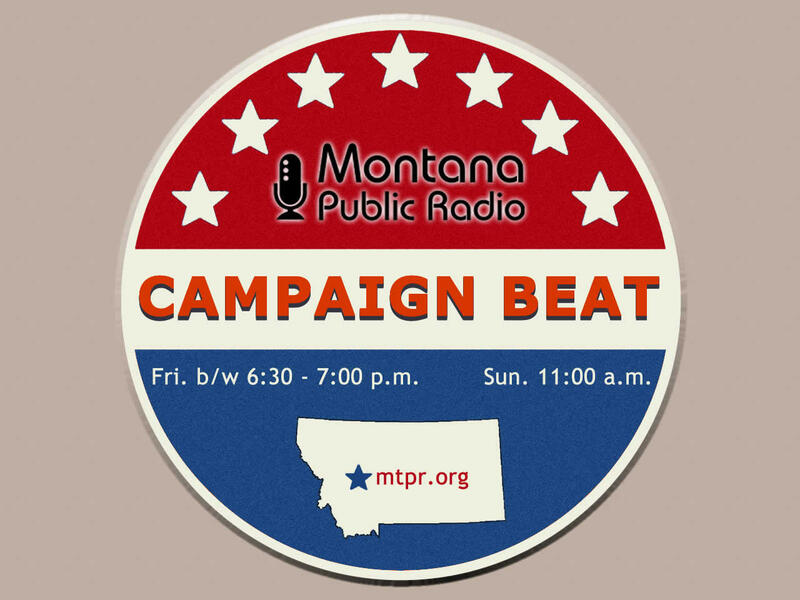 And you've been listening to "Campaign Beat," our weekly political analysis program. 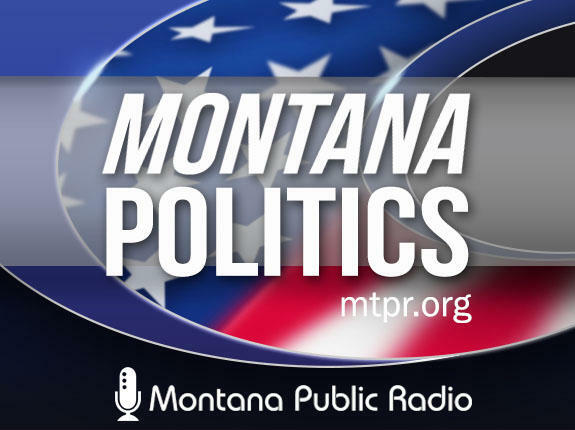 I'm Sally Mauk and I've been speaking with veteran capital reporter Chuck Johnson and University of Montana political science professor Rob Saldin. Guys, thanks and we'll talk to you next week.